We believe that all bodies are beautiful. That is why we created We Dare to Bare as a way to celebrate all that our bodies are and all that they are capable of. In a time where calorie counting, misleading media and diet culture is at an all time high, we are taking a stand and reclaiming movement. Be supported and support others. 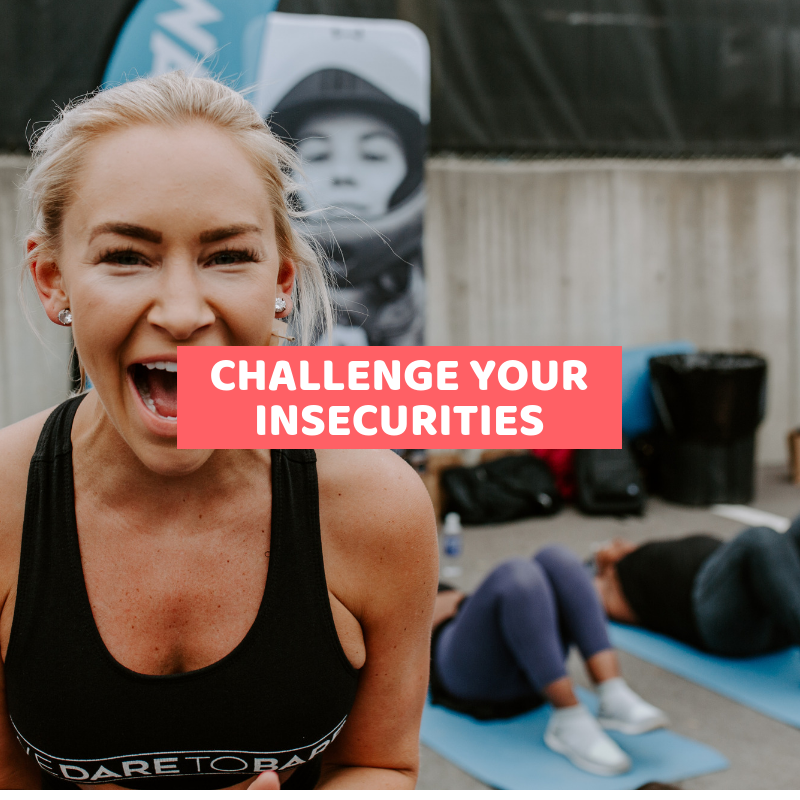 We Dare to Bare is a safe place where you will be surrounded by endless support and meet a community of passionate people who are denouncing their own insecurities. By supporting one another and embodying our message of self-love, we can collectively change the conversation around women’s appearances for weight loss and typical beauty ideals to that of acceptance, empowerment and positivity. Support our next generation of female leaders. We are in a pivotal time and need to prioritize the development of young girls so they can grow up to be strong, confident leaders. Your attendance and fundraising efforts support Movemeant Foundation’s impact programs which provide thousands of girls with the tools, education and community to build and sustain a healthy, body-positive lifestyle so they can pursue their dreams and lead a successful and fulfilling future. “Had so much fun this morning at the Nashville We Dare to Bare event! The classes were tough (so many jump squats) but encouraging as hell!